On November 6-7th, Embedded Conference Scandinavia (ECS) is once again gathering the international embedded industry in Stockholm, Sweden. As one of the nominees for the Swedish Embedded award, TSS will be exhibiting and showcasing the latest addition to their product development pipeline, i.e. sCCI – a complete system based on a smart label for temperature monitoring. ECS was initiated in 2006 by the Swedish Electronics Trade Association, Svensk Elektronik, and is now positioned as Europe’s largest conference with an adjoining exhibition with thousands of visits from all around the world. A popular standing element of the event is the awards ceremony for the annual Swedish Embedded Award, which recognizes the best newly developed intelligent embedded systems of the year. TSS is one of the proud nominees and will be showcasing sCCI – a complete system based on a smart label for temperature monitoring. 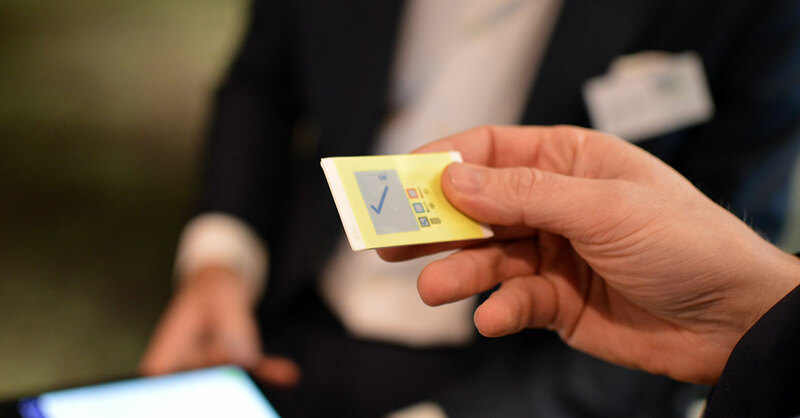 The smart label application has been developed with several partners as part of a VINNOVA project, amongst other RISE (Research Institutes of Sweden) – a research and innovation partner for businesses and society. The design and production technology of sCCCI enables small labels at a low cost, based on a combination of printed and traditional electronics. The system is designed to distribute drugs throughout the pharmaceutical supply chain, from manufacturing to the end patient. The winners of the Embedded Award will be presented during the industry reception with drinks and networking on Tuesday 6th. We hope to meet many of you there!